Years from now, we’ll look back at this product and decide that it was ahead of its time. Don’t confuse the Kenmore Alfie with the Amazon Dot. Kenmore’s puck-shaped device aims to simplify your shopping experiences, not control your smart home. 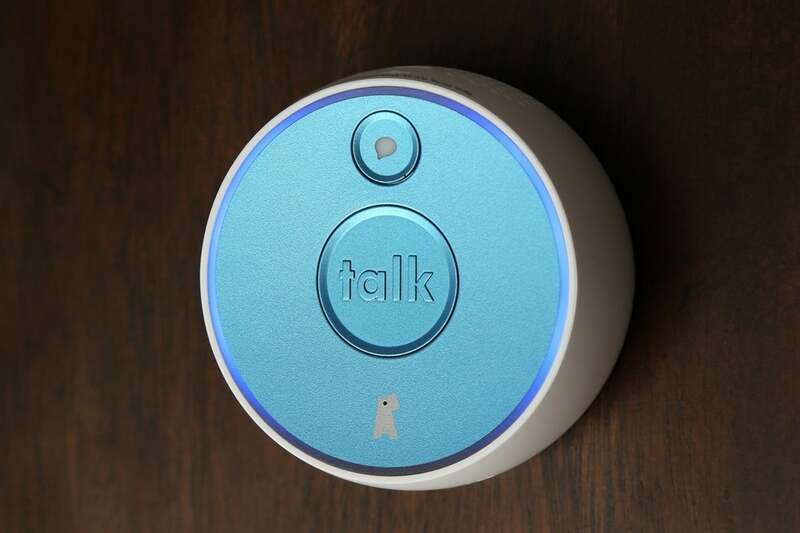 In that sense, it’s more like an Amazon Dash, except that pushing its button initiates a speech-recognition session that helps you buy any product from virtually any retailer. Wow, Alfie must be must be an incredibly powerful artificial intelligence, right? Uh, no. Alfie simply relays your queries to a flesh-and-blood human being who listens and responds to your query. Still, that’s a level of service you’d be hard-pressed to find even if you drove to a brick-and-mortar store and approached an employee. You certainly don’t get it while shopping online. And if Alfie worked as advertised, it would be a wonderful thing. The real-world experience falls far short. 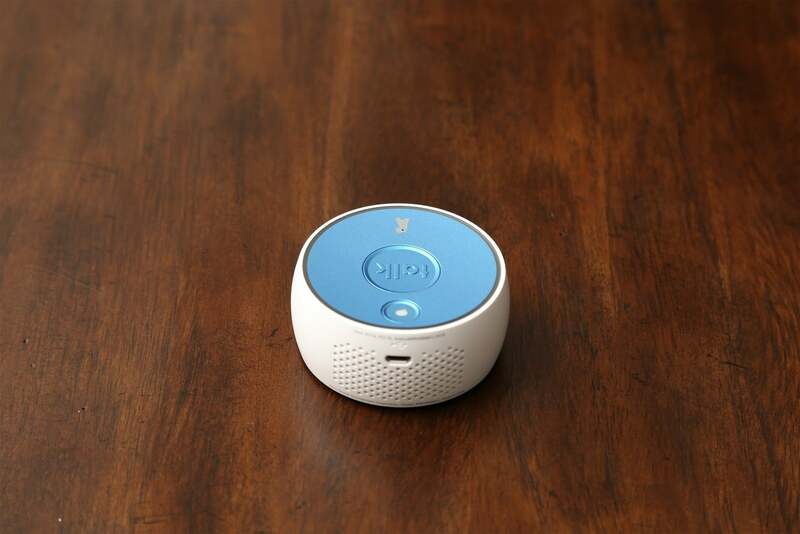 The Alfie has a single button that prompts the device to record your query and then upload it to the cloud. A large magnet on the back of the device lets you attach it to your refrigerator, so you don’t lose track of it. Pushing the Talk button puts it into action: You simply tell Alfie what you’re looking for, and a human at the other end listens, performs a search, and offers suggestions. I found Alfie’s mic to be excellent, even at range. You can also make written queries from the Alfie app. Not interacting with an AI is a tremendous advantage here, because you can speak (or write) naturally, versus in a style you think the AI will understand. A human being is much better at understanding nuances, complex concepts, and motives, so they should deliver better results than any machine can. For instance, I asked Alfie to send me birthday gift ideas for a five-year-old boy who was into superheroes and sport. 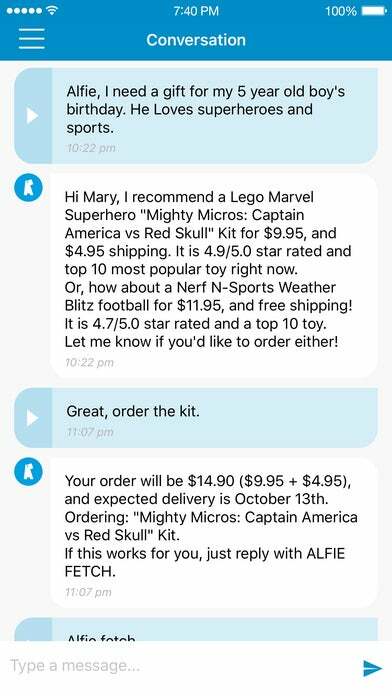 The response that eventually came back included suggestions for a Mighty Micros: Captain America vs. Red Skull, for $9.95 and a Nerf-N-Sports Weather Blitz football for $11.95. Star ratings and shipping costs were included for both items. Notice I said “eventually." People are much slower than any machine, so your results won’t be anything close to instantaneous. And even though you’re interacting with people, the experience is nothing like an in-person interaction or a phone conversation. After you make your verbal query, you must wait for Alfie’s LED to light, indicating there’s a message waiting for you. Push the button and a grating synthesized voice played over Alfie’s terrible speaker will either provide the answer, ask for further clarification, or direct you to the app. Just how bad is Alfie's speaker? I found it painful to listen to. The Kenmore Alfie is powered by a rechargeable battery that lasts for days. 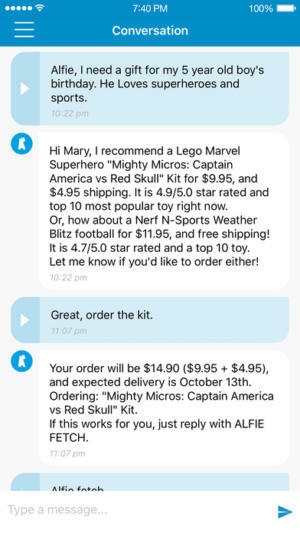 The chain of events that starts with a verbal query and ends with making a purchase is interminably slow and sometimes entails repeatedly flipping back and forth between the device and its app. In a best-case scenario, I had to wait several minutes for a response; in some cases, I had to wait more than 20. And that 20-minute-wait didn’t always end with a purchase. There were plenty of times when I was asked more questions or directed to interact with the app. The result of one query to the Kenmore Alfie, displayed on its companion app. Kenmore is a Sears brand, but I was pleased to discover that Alfie didn’t constantly steer me to Sears or its Kmart subsidiary. It did, however, require me to sign up for a Sears Shop Your Way account before I could start using it. I didn’t need to provide a credit card for this, but I didn’t like the idea of being forced to share my email address without knowing if I’d ever use that e-tailer. It smacked of an information grab, and I didn’t appreciate it. Picturing a phone bank with employees interpreting and responding to Alfie queries, I have to wonder how the system will scale if millions of people decide to purchase one. I suppose that’s an unknowable question, but it probably won’t matter in the long run. Alfie just isn’t good enough win that kind of market share. Kenmore’s Alfie has an interesting concept and appealing features at first blush, but it needs a faster engine.